It happened this morning in the village of Seeta. The man was suspected of desecrating pages of the Koran. Over 200 people dragged him from the police station, beat and finally burned him. 10 police suspended and 20 people arrested. Crowd now facing murder charges and resisting a public officer. 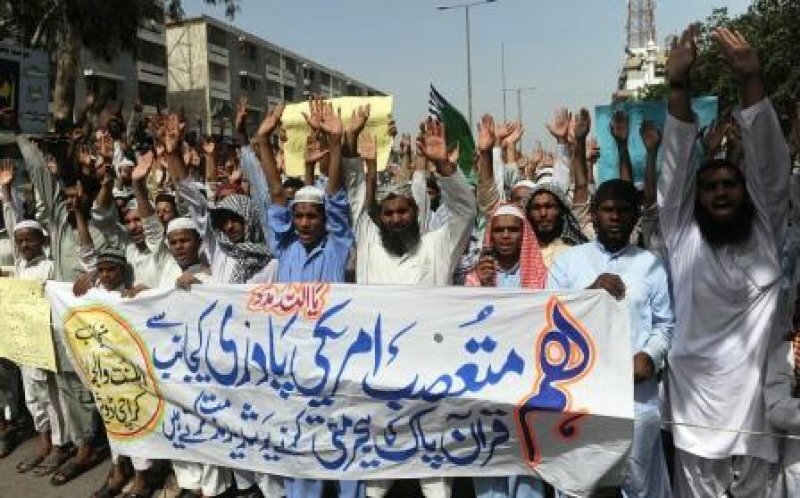 Karachi (AsiaNews / Agencies) - A crowd of over 200 people beat and then burned to death a Muslim, because he was suspected of desecrating pages of the Koran. The murder happened this morning in the village of Seeta, (district of Sindh). The victim, as yet unidentified, was in custody for a charge of blasphemy in the local police station, when the mob broke in and dragged the man outside to take justice into their own hands. At present, the police have arrested 20 people. According to the account of Imam Usma Memon, the man was passing through the village. "On 20 December - he said - he asked for hospitality for the night in our mosque. Before bedtime he prayed. The next morning, some believers found some burnt pages of the Koran." Suspecting that the traveler was responsible, they led him to the police in Rajo Dero and registered a complaint against him for blasphemy. The news of his arrest spread quickly: more than 200 people forced the police station, took the man, and in front of 12 agents beat him and then set on fire. The local commissioner, Usman Ghani, said that 10 policemen present were suspended and charged with negligence. The 200 people were charged in accordance with art. 302 (murder) and 353 (obstruction and resisting a public officer) of the Pakistan Penal Code. Introduced in 1986 by General Zia-ul-haq to meet the demands of the lunatic Islamic fringe the blasphemy laws have so far caused the indictment of at least 1,000 people and caused the murders of 60, most of them victims of extra-judicial killings by angry mobs (as in this case) or individuals. There are many Christians victims of the "black law" the case of Asia Bibi is exemplary, a Christian laborer arrested in 2009 and since 2010 on death row.